Choose from our extensive list of bathroom remodeling solutions if you would like to see major improvements in your home! If your bathroom creates more work and brings down the value of your home, you need to make some changes. 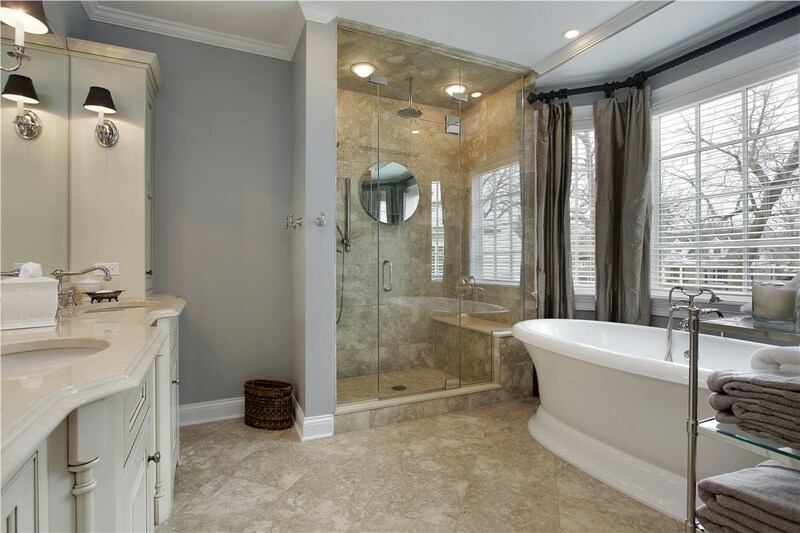 There are several bathroom remodeling projects from which you can choose, but regardless of how you prefer to update your bathroom, you should hire a professional remodeling company. 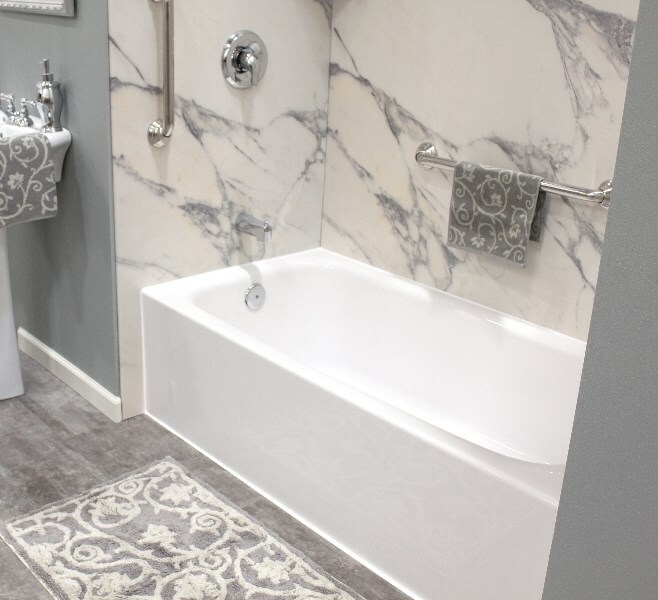 Get A Pro has been providing expert Dubuque bath remodel services for years, so you can count on us to deliver the exceptional results you deserve. 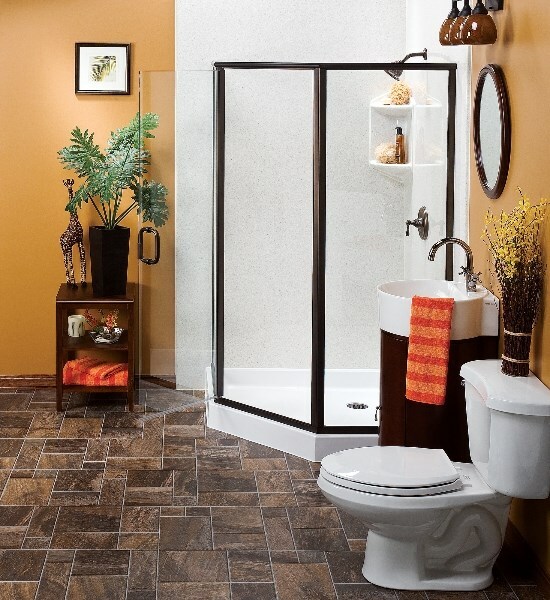 Have you been thinking of different bathroom remodel ideas, but time and money have always stood in your way? Well, when you choose our contractors to complete a quick and affordable one day bath remodel, you can make all of your bathroom remodel dreams a reality. In as little as 24 hours, we can have a completely customized bath or shower installed in your home so that you can start enjoying your new bathroom right away! 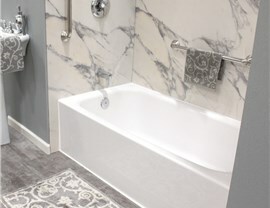 At Get-A-Pro, we offer an assortment of different replacement tubs, but no matter which style or design you choose for your home, you get the same results. Whether you just want a bathtub replacement or a tub surround installation, our durable acrylic delivers the long-lasting beauty you deserve. Not only do they resist chips, cracks, and fading from everyday use, but they also make cleaning a breeze since they reduce mold and mildew growth. Unlike other shower replacement companies, Get-A-Pro manufactures completely customizable replacement showers. To create your ideal fixture, you can sit down with a designer and choose from our walk-in showers, tub shower combos, and other products. From there, you can select the color, pattern, accessories, and more so that your new shower fits your taste, budget, and home. If you or a loved one struggles with limited mobility, you know just how scary and difficult it can be to bathe or shower. 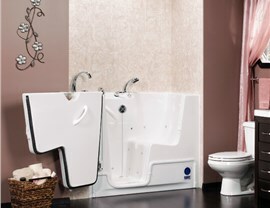 Instead of giving up your independence, you should install one of our accessible Kohler walk-in tubs. 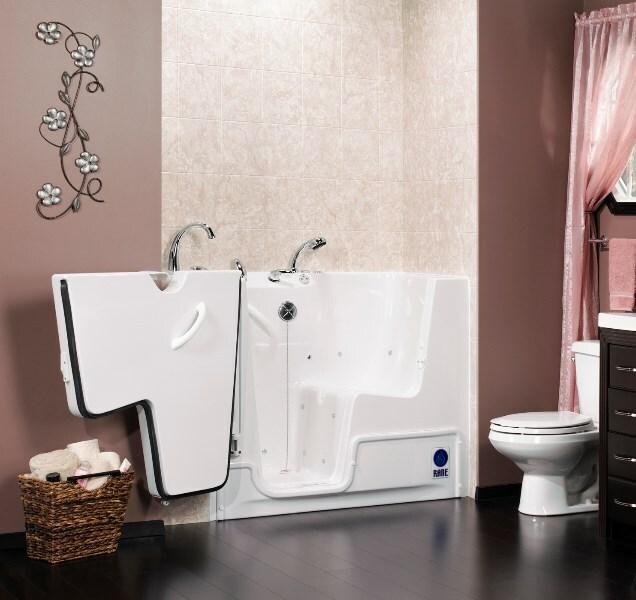 The low barrier and watertight doors allow you to gracefully enter and exit your bath while ADA-compliant grab bars and a comfortable seat increase the safety and comfort. Stop wasting hundreds of dollars every month on spa treatments to help you relax. With jacuzzi walk-in baths, you can bring the spa right into your home. When you combine the warm water with the massaging jets, you get relief of joint and muscle pain. A lot of our customers also see benefits in their sleep schedules and skin as the bath relaxes them before bed and detoxifies their pores. 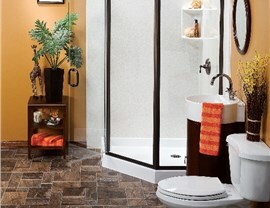 Give Get-A-Pro a call today if you would like to discuss any of your bathroom remodel ideas. 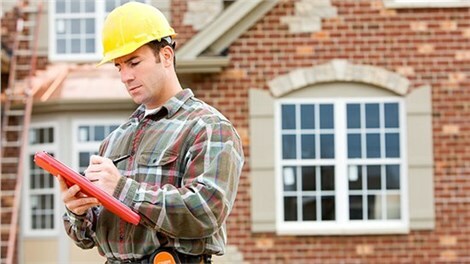 You can ask our friendly service representatives questions about any of our products and services, or you can request a free quote from our bathroom contractor after you submit our online form.